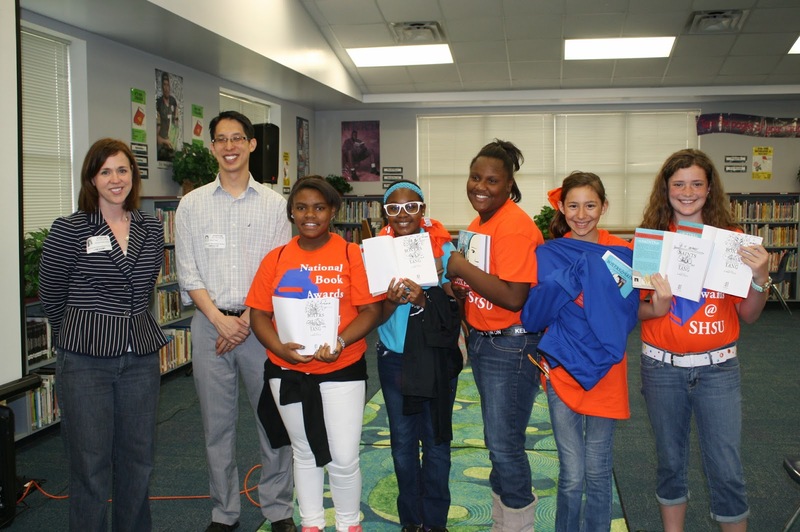 Huntsville Intermediate 6th grade social studies students got a real treat of superhero proportions when graphic novel author and artist, Gene Yang, came to speak to them. Yang, who teaches at Hamline University in St. Paul, Minnesota, has been nominated for the National Book Award. His book American Born Chinese, is the first graphic novel to ever be nominated for this award. He was in Huntsville this past week for an event hosted by SHSU for NBA finalists. While in town,Mr. 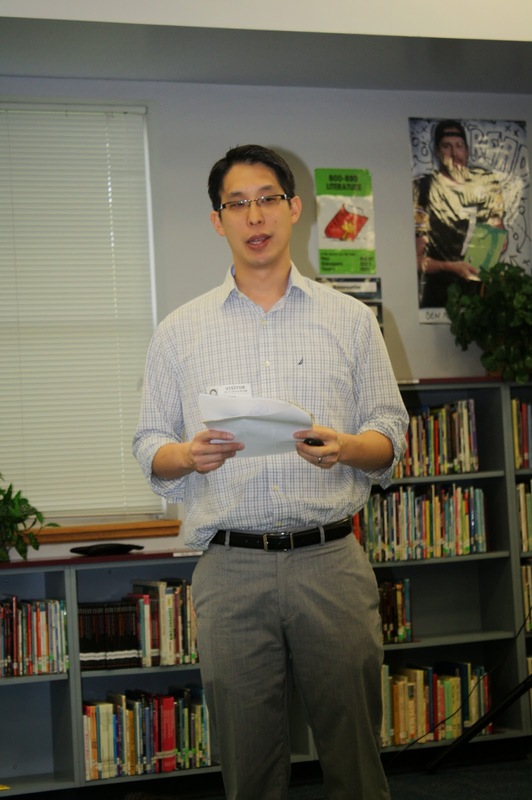 Yang stopped by Huntsville Intermediate to speak to the students about his newest books, Boxers and Saints, a two volume set that tells the tale of the Boxer Rebellion which took place from 1898 to 1900 in China. 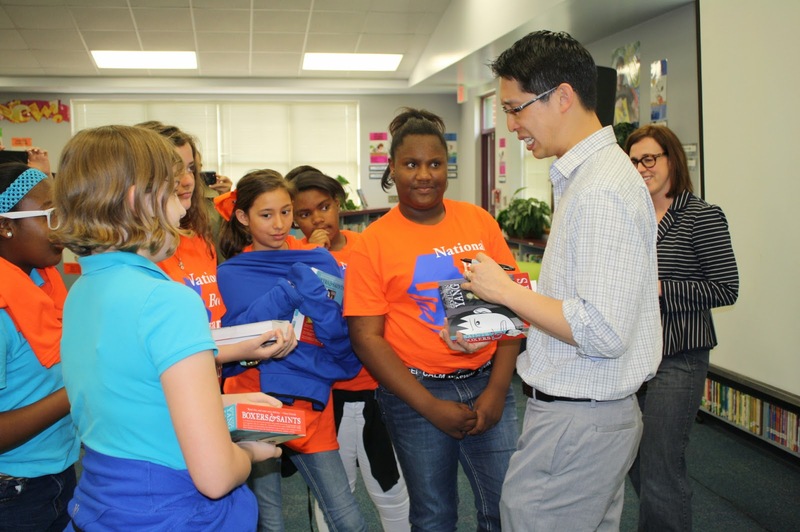 The students enjoyed his books, and thought it was pretty "cool" to have a real author speak to them. 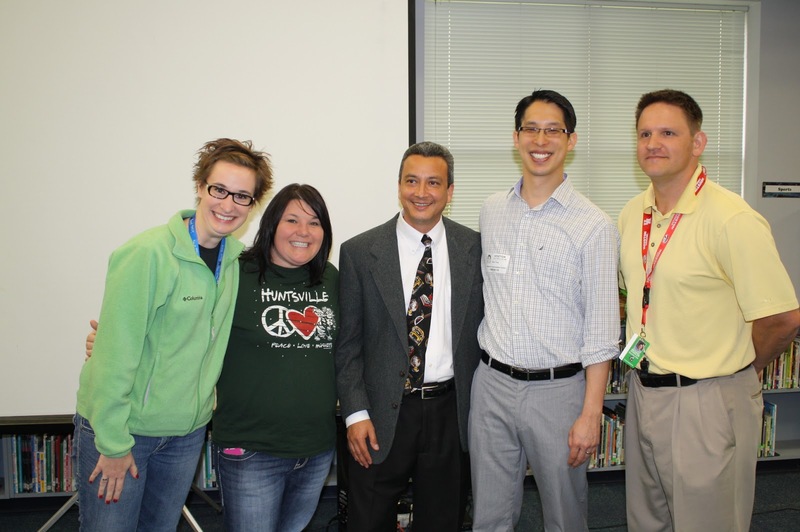 Also, the 6th grade social studies teachers received classroom sets of Mr. Yang’s new books. Many of the students got his autograph and took pictures with him. Why Huntsville ISD Blocked Twitter Today . . . It's all in our Mindset!